The TACCIA Shakespearean Quill – The Writer’s Quill – William Shakespeare could have only dreamed of having such a smooth writing and comfortable Quill to create his masterpieces. The all-new Shakespearean Quill from Taccia is truly a Quill made for writers. 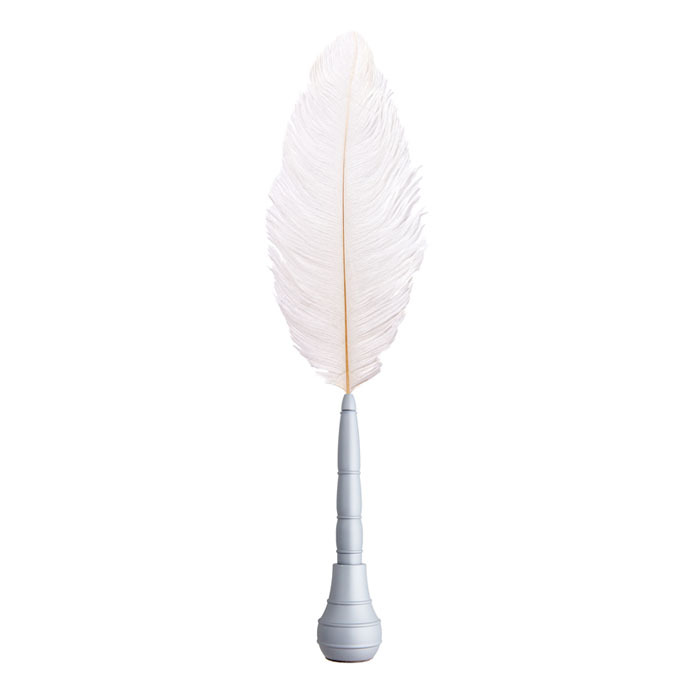 Incorporating the unmistakable and authentic look of genuine bird feathers with modern fountain pen technology and precision ergonomics, the Shakespearean Quill allows for hours of comfortable and reliable writing. 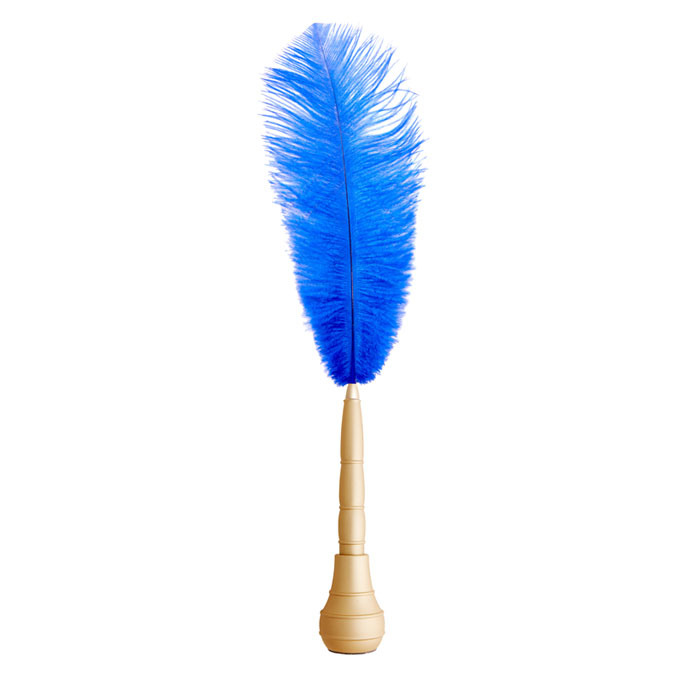 Perhaps Shakespeare could have written even more if he only had a Shakespearean Quill from Taccia. 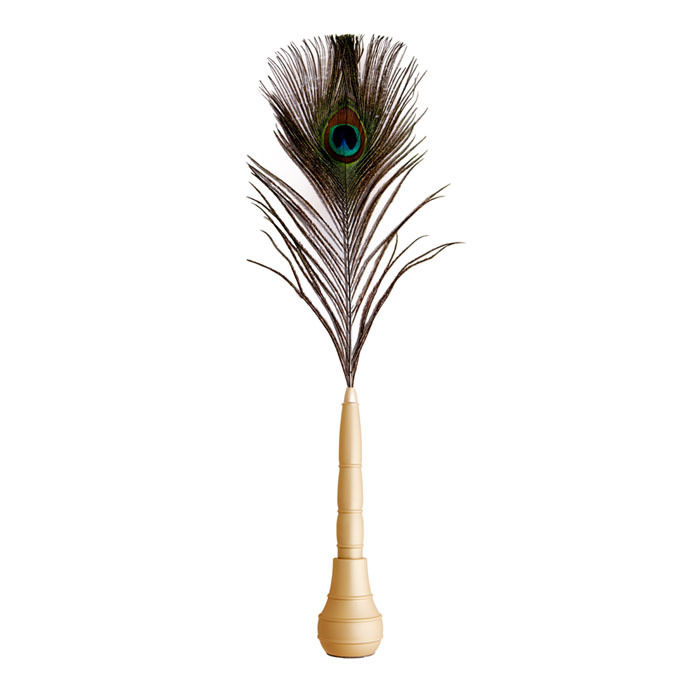 On the outside, the Shakespearean Quill is all tradition, with its exclusive weighted metal base and pen barrel, adorned with your choice of genuine ostrich or peacock feathers. On the inside, the Shakespearean Quill is all 21st century, with a sealed precision made stainless steel nib fountain pen, providing modern comfort, performance and consistent ink flow. 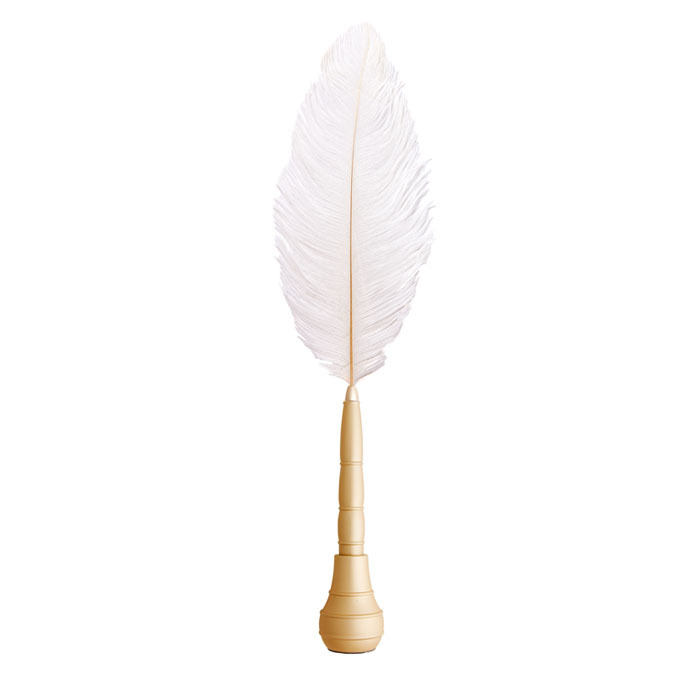 Unlike most old fashioned desktop fountain pens, an air-tight base means the Shakespearean Quill is always ready to write. The large sealed internal reservoir with black ink means no need to refill with ink or repair the nib; simply dispose when done, then insert an entirely new and affordable reservoir, cartridge and nib, all in one. Easy to use, easy to replace and great looking too. 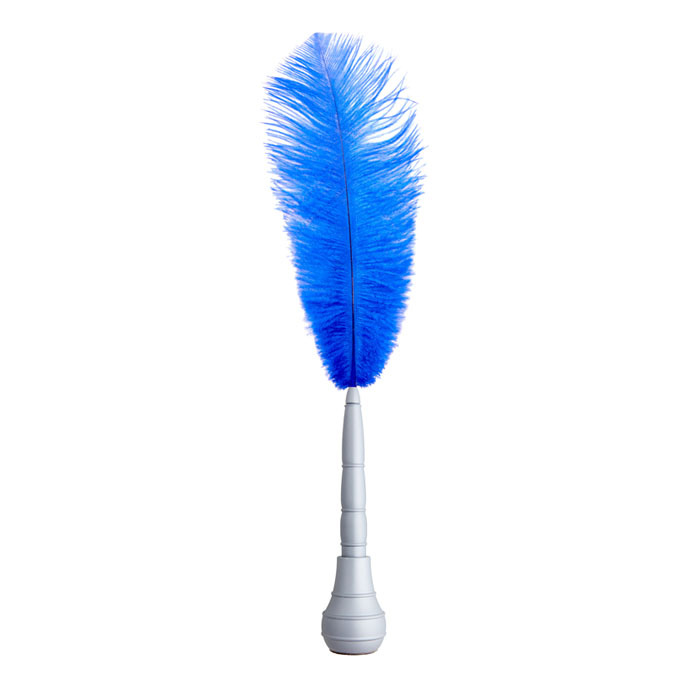 The Shakespearean Quill is the fast and easy way to write with that distinctive and traditional Shakespearean style. 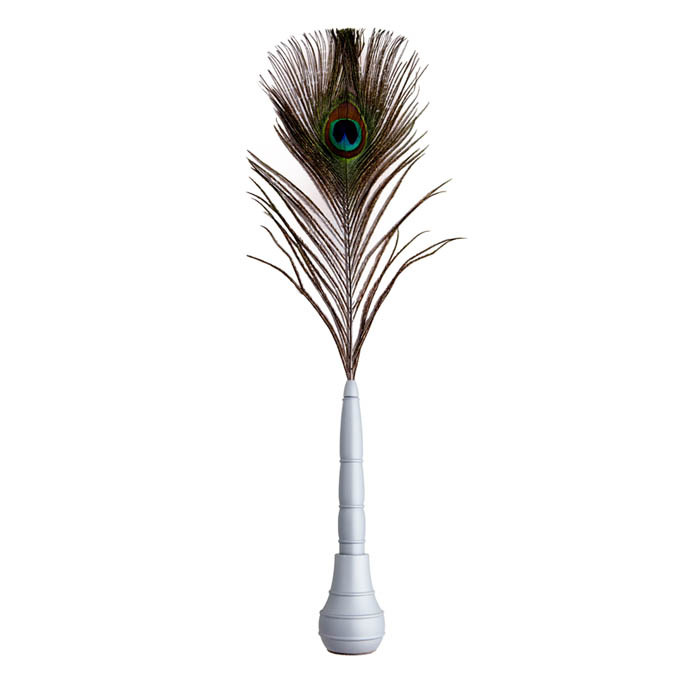 Ideal for weddings and parties for that unmistakable classy look and feel, but simple and durable enough for even fountain pen novices to use. 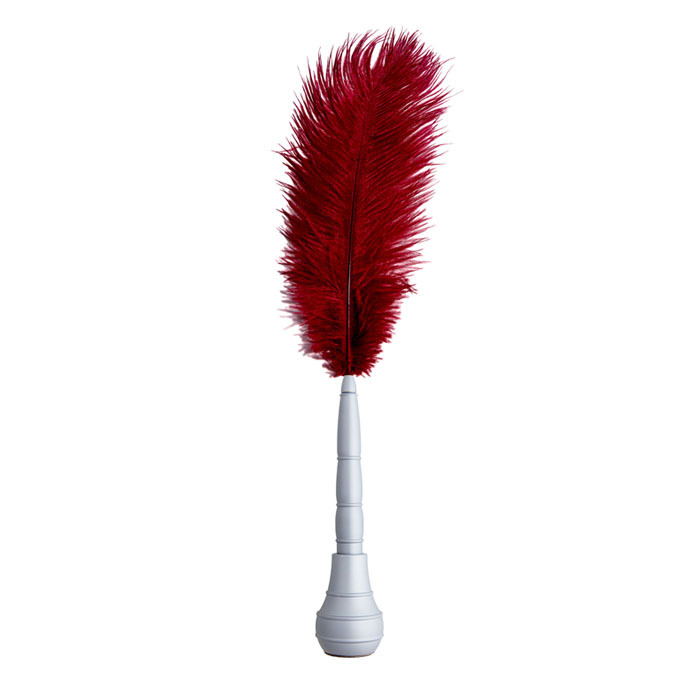 The Shakespearean Quill makes a standout gift for home and office use too. 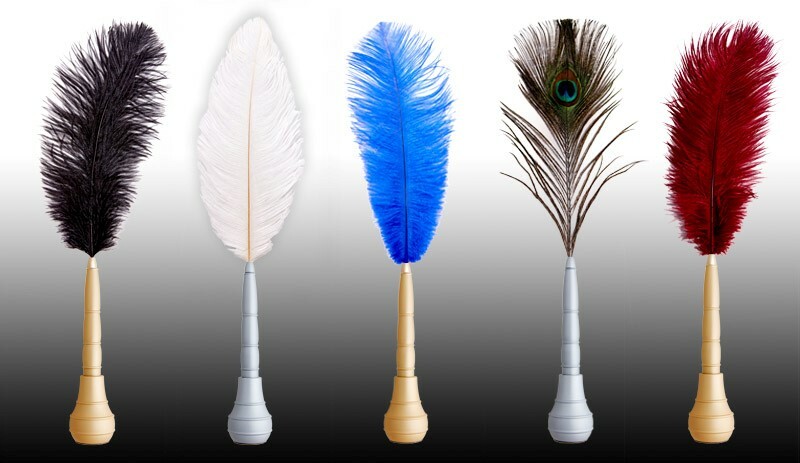 The Shakespearean Quill is offered in a choice of either Gold or Pewter Pen and Base, and one Peacock feather color, or 4 unique Ostrich feather colors: Merlot Red, Caribbean Blue, Onyx Black or Frost White. 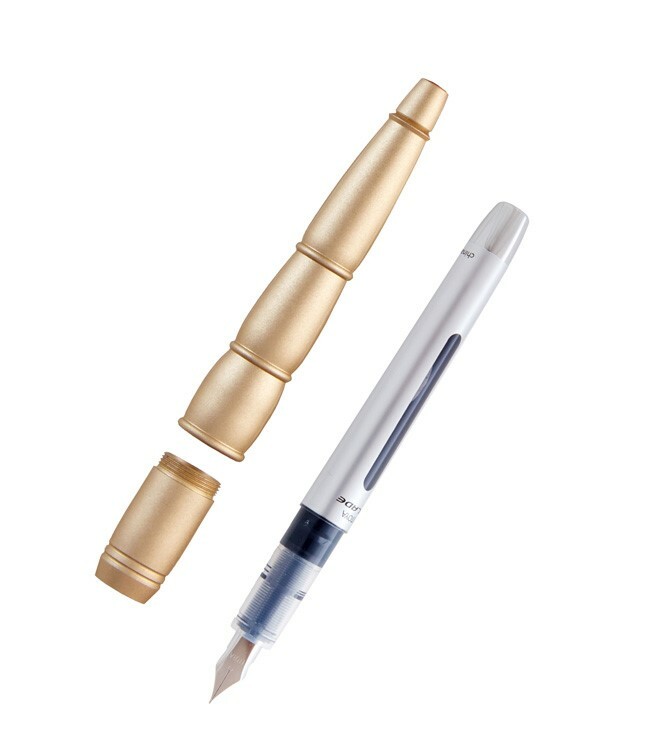 Itoya Blade Fountain Pen refill are available for purchase directly thru orders@itoya.com. Blade Fountain Pen refill 2-pack(black/blue): $7.99/pack + shipping.